Is Slow Travel your favourite way of travelling? Do you prefer exploring one place rather than ticking off a list as you race from one place to another? If you like the slower approach to travel then Treshnish & Haunn Cottages may be the place for you! Make the journey part of the trip. Coming from London or the south of England? You can catch the sleeper from Euston to Glasgow or Fort William. If you pre-arrange it, you can shop at the great village shop in Salen and then catch the Ulva Ferry Community Bus to Treshnish. They usually deliver our guests right to the door. Slow travel is all about exploring and getting to know a place locally, doing what the locals do. You can do that here starting with the farm itself. Treshnish & Haunn Cottages are all located on our family farm near Calgary. 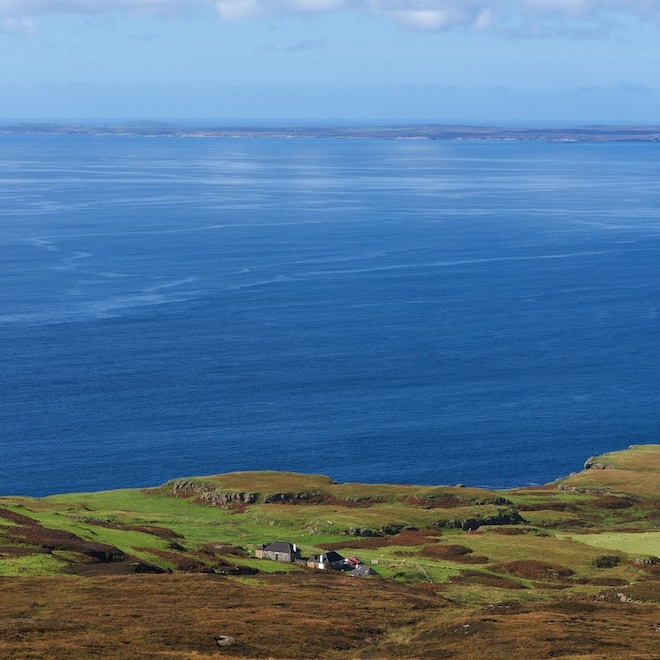 The farm sits on Treshnish Headland and has 4 miles of coastline. There is plenty to explore without using the car. So many walks to take, so many places to stop and look – coves and caves to explore, the coastal path around the Headland to follow, and a tapestry of different habitats to observe and watch, looking out for tiny Wrens and warblers to barn door sized White tailed (sea) eagles. There are plenty of places to explore within a few miles of here too – with or without a car, and we are happy to tell you about the secret beaches and special places. We have bicycles you can borrow or you can hire electric bikes from Mary at Mull Electric Bikes in Dervaig. If you choose one of the Haunn Cottages you will be stepping back into the history of the place, the history of the fishing families who dragged their boats up on the shore at Port Haunn – follow their footsteps down to the port and look at their view. The cottages are a lot more comfortable now though so its contemporary, comfortable slow travel. 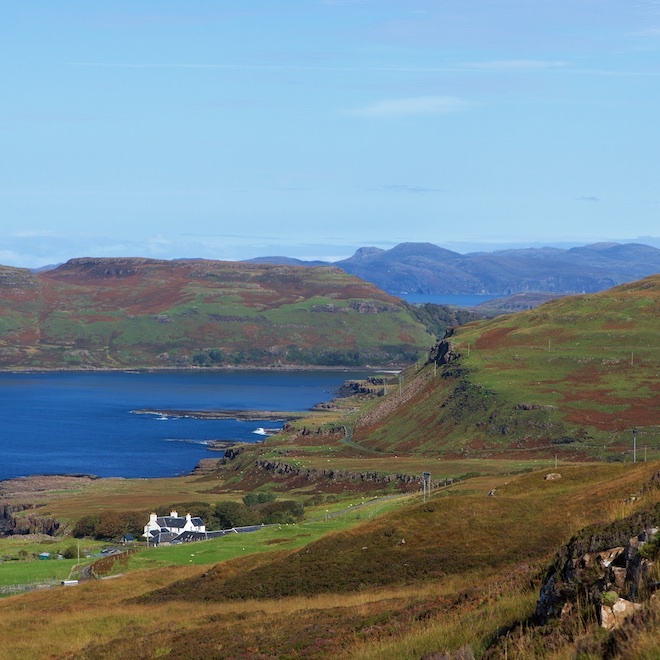 There is an active local food network on Mull and Iona. 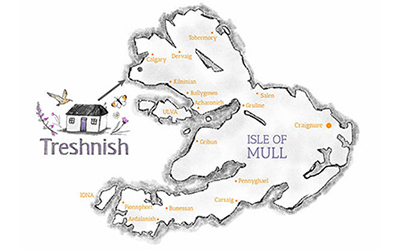 Within a few miles of Treshnish there are some great places to experience wonderful local harvests from land and sea. A perfect form of Slow Travel. And our hills are a lovely starting point. 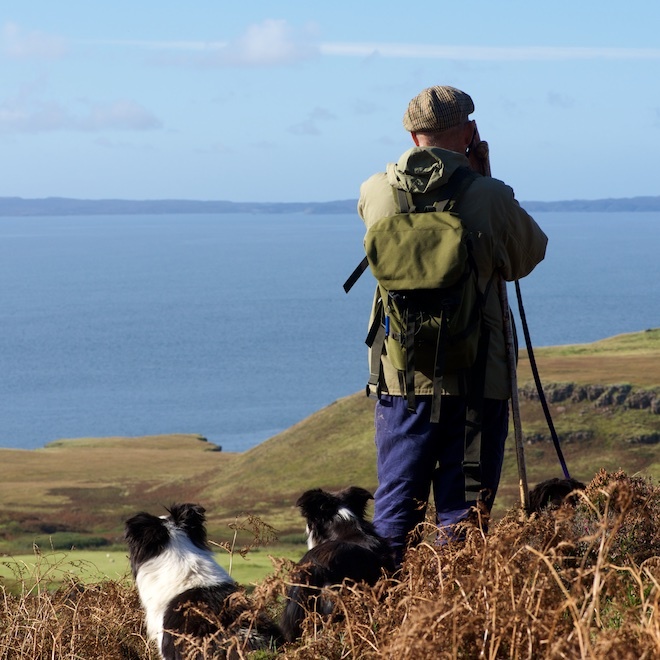 The views to at least 18 other Hebridean islands are wonderful and there is plenty of wildlife to keep the most seasoned birder happy! Watch out for the resident herd of deer too.